Like: Microwaves that have a popcorn setting and the resulting ability to perfectly pop a bag of popcorn for me myself and I and my friends. 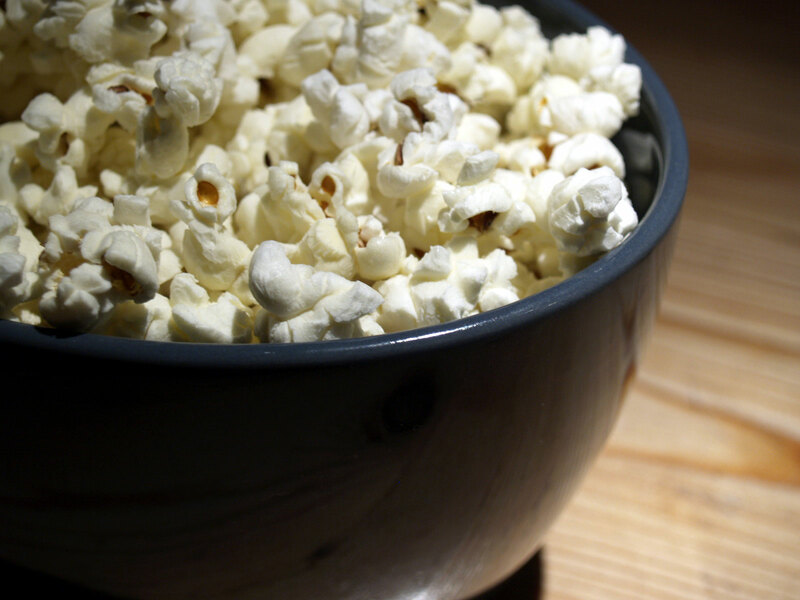 I don’t know why but somehow there is a huge difference between me pressing “POPCORN” (and the microwave automatically running itself for 3 minutes) and me manually entering “TIME,” “3 MINUTES,” “START.” And that difference once ended in a small fire. Dislike: The fact that commercials for movies now only say “Available on Blu-ray.” HEY. You and I both know that your crappy movie is also available on DVD – don’t even TRY TO PRETEND that it’s not. I am not buying a Blu-ray player anytime soon (or probably ever). I still own VHS tapes. Give me a couple more years to mourn the loss of that technology. Basically, give me a bag of 97% fat-free kettle corn and my VHS copy of North and I’ll be good for the afternoon. Or at least like twenty minutes. I have a strange affinity for early 90’s Saturday Night Live…I suspect it’s because I used to religiously tape the reruns on “E!” Tape – Not record on a DVD/hard drive. I taped the 2-3 episodes that aired every weekday and kept a small VHS library in my room. Sort of like my own Hulu. This was in 2006/2007, by the way, long after the inventions of both Tivo and YouTube. Actually… no one really liked him. Good for him though, right!? 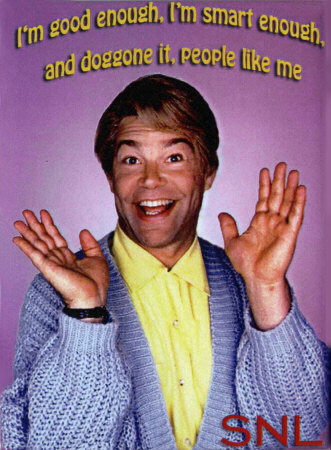 I was looking over my senior yearbook while visiting home today and was reminded of the fact that I chose Stuart Smalley’s daily affirmation for my senior quote. I remember spending waaaaay too much time figuring out how to spell “doggone it” for the quote, as if the correct spelling really mattered, as if the correct spelling of the word would somehow prevent my peers from thinking that I (at best) was lame for choosing to quote a forgotten SNL sketch that no one thought was funny (and at worst that I was a total weirdo with a bizarre personal mantra I felt the need to share with everyone) instead of a meaningful song lyric/cool inspirational quote/inside-joke-phrase. Of course at the time any one of those three things was exactly what I wanted my quote to be. But I didn’t listen to music that I thought was cool enough/know any quotes that I thought were deep enough/have an inside joke with anyone that I thought was funny enough. So I went with Stuart Smalley. And I don’t regret it.